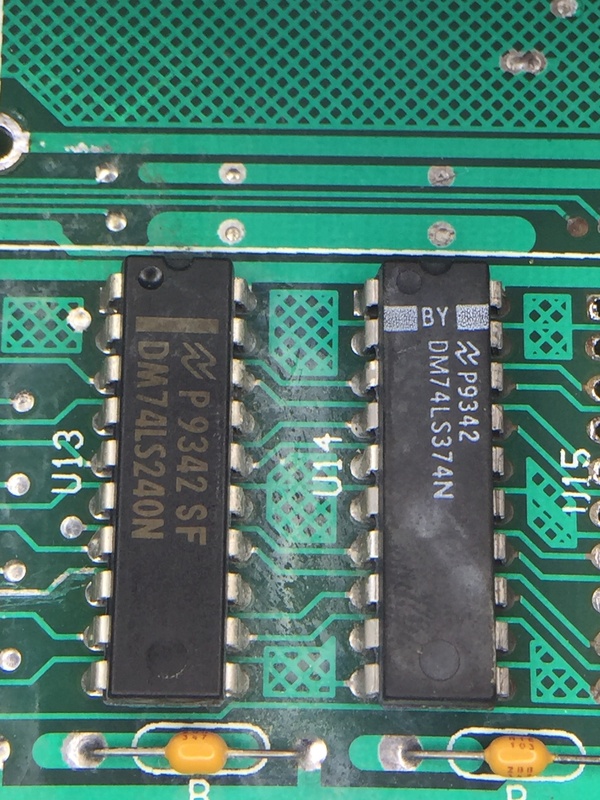 » Forum » Tech » Tech: Modern games » Fixing Alkaline damage on WPC-89 first attempt. 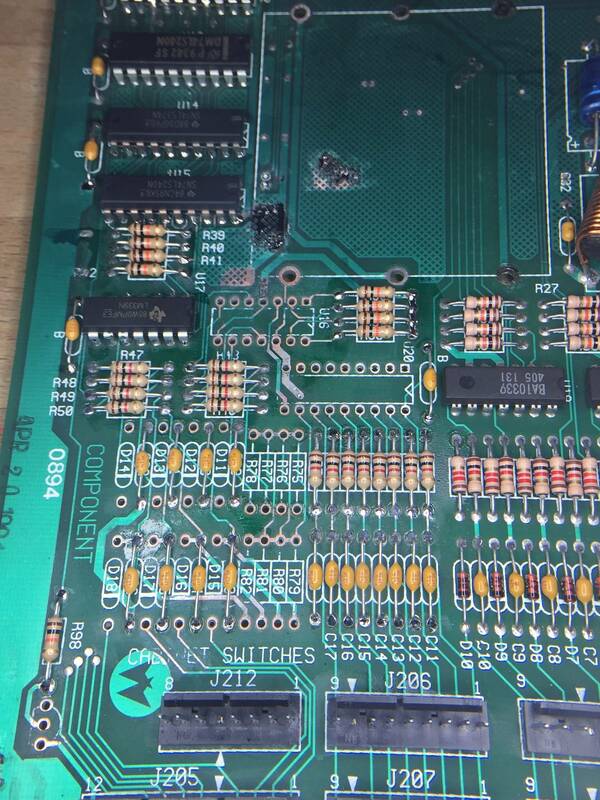 » Fixing Alkaline damage on WPC-89 first attempt. 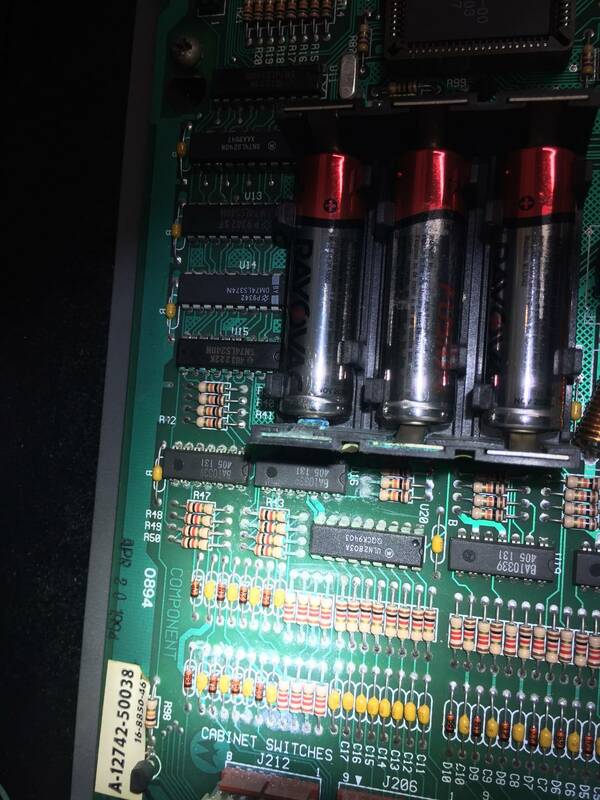 Fixing Alkaline damage on WPC-89 first attempt. 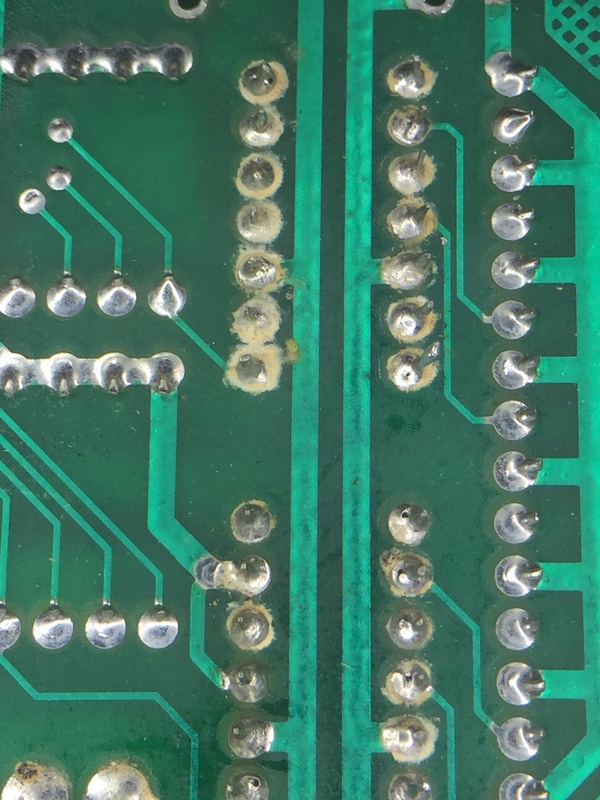 So the mpu has corrosion. Mostly on left side and up to U15 it looks like. Game works 100% no issues with switch matrix or resets. Being a believer of if it's not broke don't fix it but ALSO understanding this WILL get worst and something will stop working, what should I do? 1. Take it out and follow terry B's damage guide and replace all affected components. 2. Neutralize damage and wait until something breaks and revert to #1. Langless28 last edited this post 61 days ago. You have damage down to J212, I'd get it repaired now if possible. Change the batteries, clean up the board and leave it for now. If it still works why repair it now?? take it out now and get it repaired properly now by someone who knows what they're doing not someone who thinks splashing some vinegar on it and giving it a hug is all it needs. You can roll the dice but I would get it taken care properly asap. My Congo had bad corrosion. I had the board neutralized and cleaned. I don't think that did much good since the mpu went dead not long after. I think I'll gather supplies and try to fix it before it gets worse. Getting a twobits board is possible too. 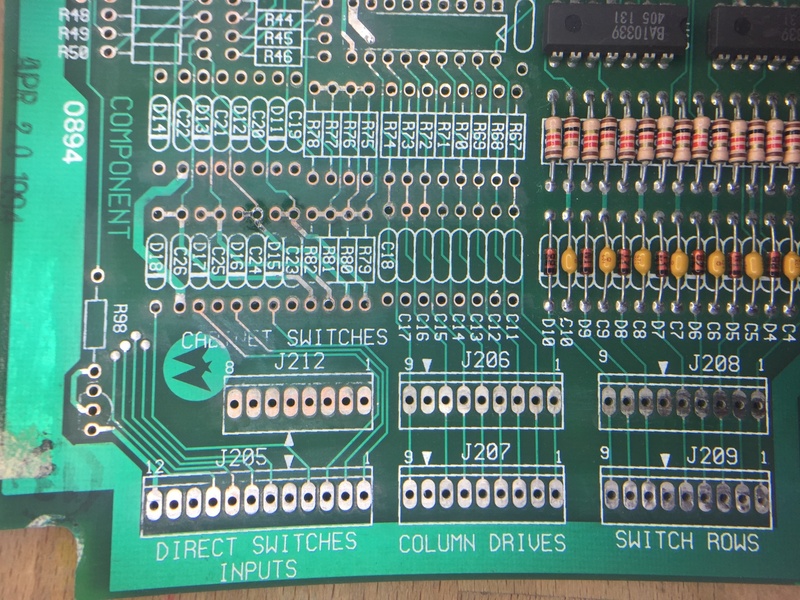 What do you think is easiest, assemble a twobits board from scratch or a repair alkaline damaged wpc board? Is there a market for damaged wpc bosrds? I have not done this stuff before but am an automation engineer so it's in my realm of knowledge base and pay very good attention to detail. For the record, its alkaline. 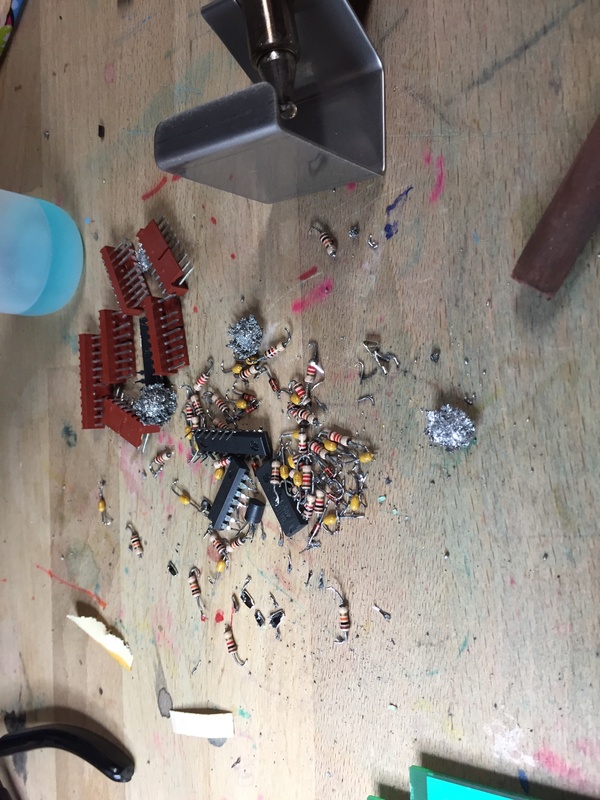 Batteries do not leak "acid"
Remove the batteries,, cut off the battery holder, neutralize with zep, remove the affected components, neutralize and sand, repopulate the removed components, and don't use alkaline batteries again (switch to NVRAM, a coin cell, or memory cap). The alkaline will spread throughout the board and eat up traces if it's not treated. 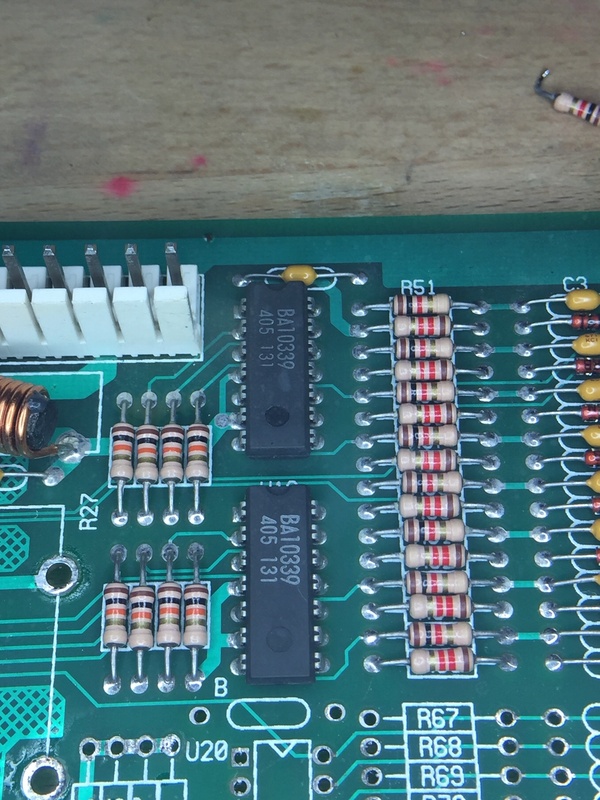 What do you think is easiest, assemble a twobits board from scratch or a repair alkaline damaged wpc board? A repair would be easier in this case. The damage damage doesn't look too bad. 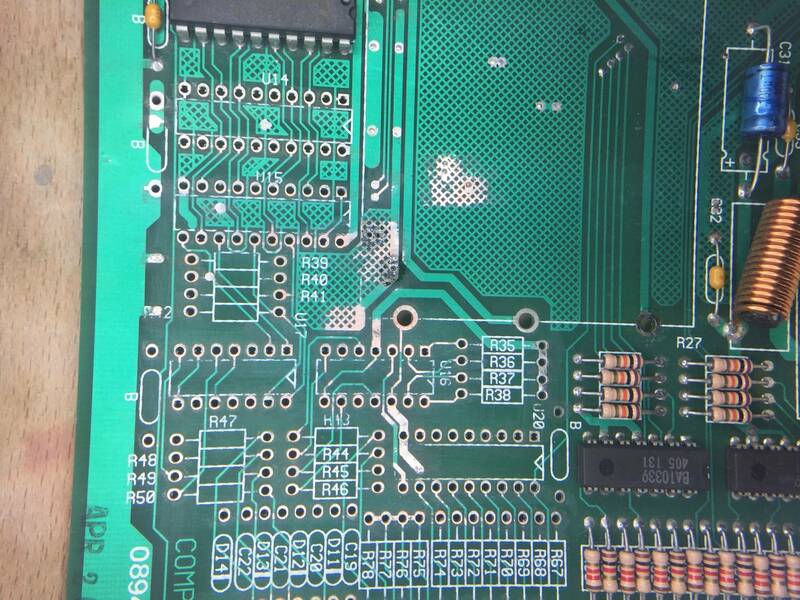 It is a considerable amount of soldering to assemble a board from scratch and many hours of labor over several days. And that's just if you assemble everything correctly, have perfect solder joints everywhere, no solder bridging, and put all the components in the right places. Is there a market for damaged wpc bosrds? Not really. $10-$20 on ebay without the ASIC chip, maybe? Basically peanuts. Battery damaged WPC MPUs are not hard to find. Everybody wants to get rid of them. Yes I corrected myself in later posts. Acid just sounds so much cooler. It sounds like you are capable of doing the work and looking for suggestions; I can only speak for myself, but I would look at this strictly as a factor of time. You are looking at removing and replacing roughly 40 corroded parts, many of these are not going to come out clean due to the corrosion and damage can be expected to some of the thru holes, the alkaline then needs to be neutralized and the board sanded to remove the corrosion and allow for the soldering of new parts, all holes that pass connections to the opposite side of the board need to be tested and repaired. 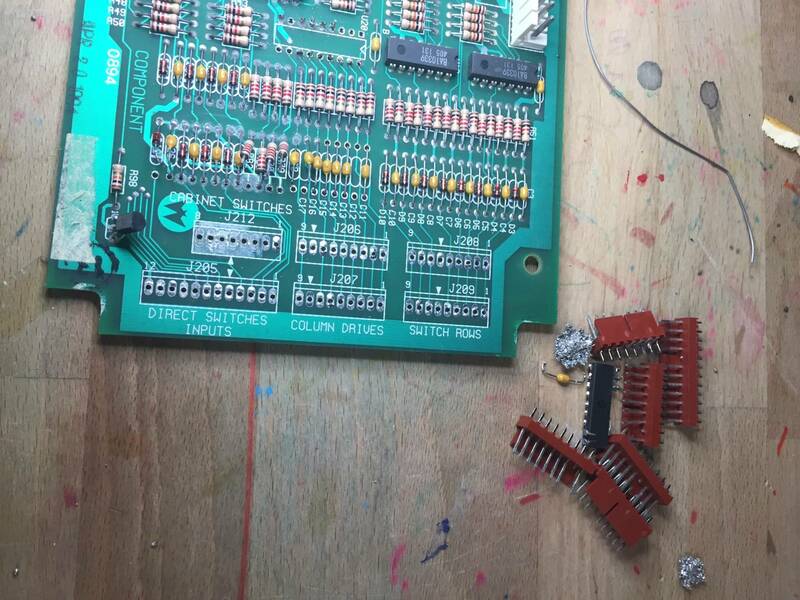 Personally, I wouldn't make the time commitment to repair the board and would just replace it; however, since all of your questions end with "Take it out and follow terry B's damage guide and replace all affected components." I would recommend doing this sooner rather than later, as the damage is going to just get harder to fix the longer you wait. Thanks for feedback. 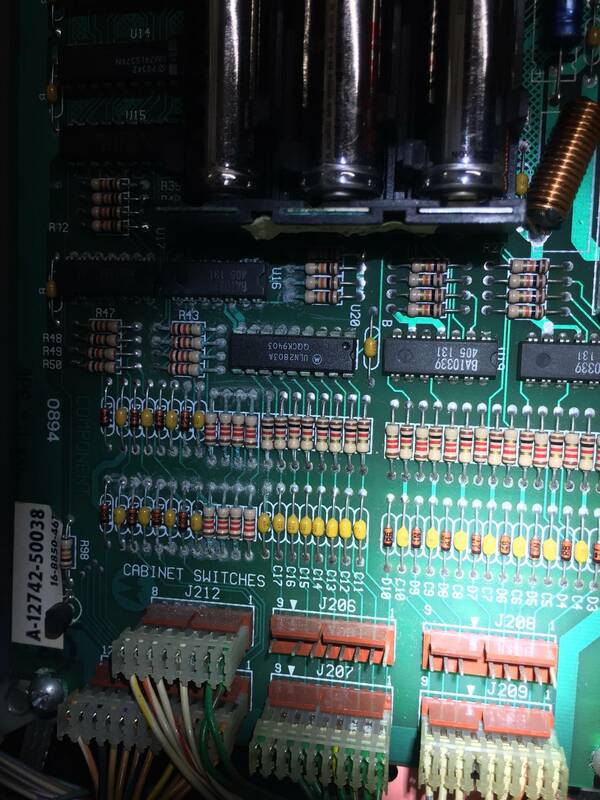 The main reason I got into pinball is for the fixing/ tinkering aspect of it. 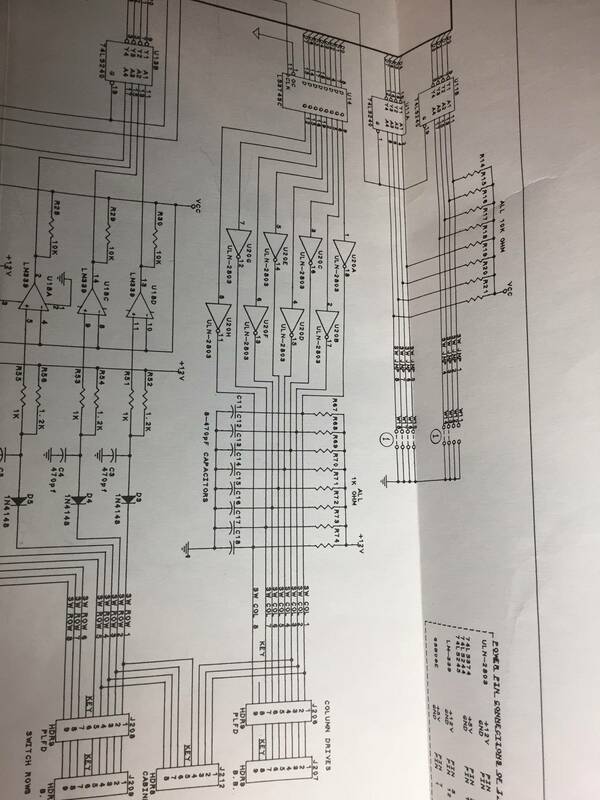 Up till now I've avoided pins with major board issues but I'm looking at this as a forced learning experience. Aka learn enough and do a good job or I'm out $180 for a new mpu. Aka learn enough and do a good job or I'm out $180 for a new mpu. Worst case scenario, you cant repair it and are out a board...on the upside if you end up having to replace it, the old one will make a good practice board for learning on. 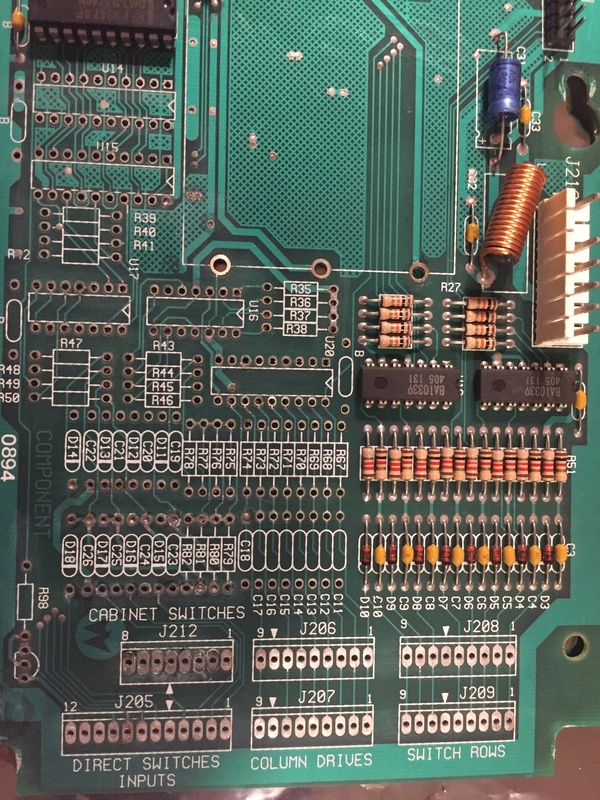 With the relatively low cost of this board (without CPU, ROM, ASIC) I doubt you would find anyone that would repair it for less than 80% the cost of a replacement. Cut battery holder off right now! Then read this before you start anything. Well. Entire bom of wpc-89 components on order from mouser, logic probe, and desoldering tools on the way. Not to mention remote mount battery holder. Good news is I have a demo man mpu to verify signals or values if I get into trouble. Worst case I have a double E at work I could pick his brain if I have too. And all you wonderful people! If you are replacing the RAM anyway, you should go with NVRAM and never worry about batteries at all. I hope I don't have to replace any upper components or stuff to right of battery holder. Just ordered all components because I'd rather have everything then pay another 7.99 for shipping of 0.1 lb of electronics from mouser. That being said I am going to expo next week so if there are show specials on nvram, I might pick it up anyway. 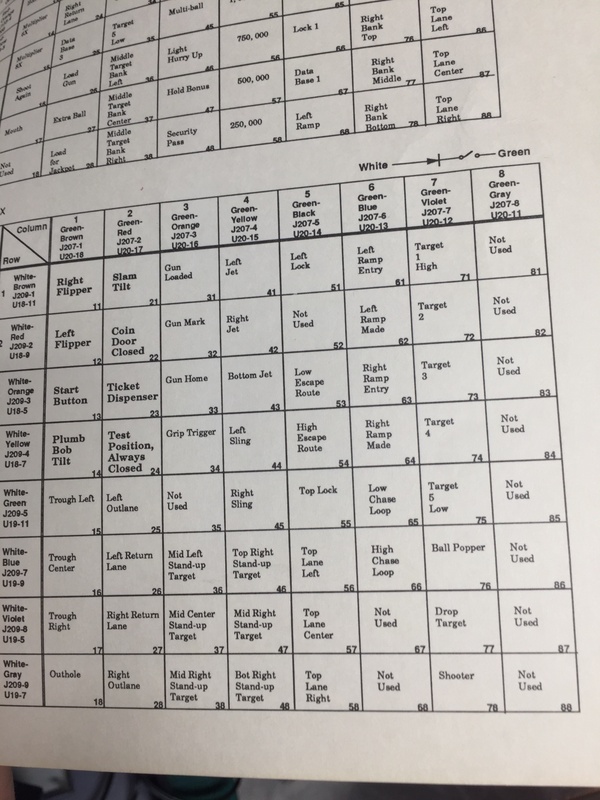 Which game is this going in? If there is a midnight madness mode it won’t trigger at the correct time with NVRAM since the machine won’t hold time correctly. I agree with your fix it approach! It's a party zone so no midnight madness. Yes I remember reading that some games loose functionality with nvram... like TZ. Funny, your post prompted me to mention the whole timekeeping concept because I just bought a HomePin reproduction CPU board that has NVRAM pre-installed. It's going into my TZ. BTW HomePin does include a little slip of paper with their CPU reproductions reminding you to replace the NVRAM with static RAM. Have you thought about buying one of those blank CPU boards to populate? I bet that would be fun. I have one myself, just haven't had the time to setup an order with Mouser myself. It's going into my TZ. BTW HomePin does include a little slip of paper with their CPU reproductions reminding you to replace the NVRAM with static RAM. Yes I posted about new bare board here and on two bits post. Will try to fix this and weight my options if I fail. Because of the absolute success of my two bits build I can now focus on attempting to fix this. So I first went to neutralize the alkaline with 100% acedic acid. Seemed to help a little. Now using trusty hakko desoldering gun to remove stuff. Adding flux to the solder really helps. Small pile accumulating so far. I’ll attempt to document this here for anyone who is interested. Made some more progress. I have what I think is all the affected parts/areas. These photos are of areas that I don’t think are affected. 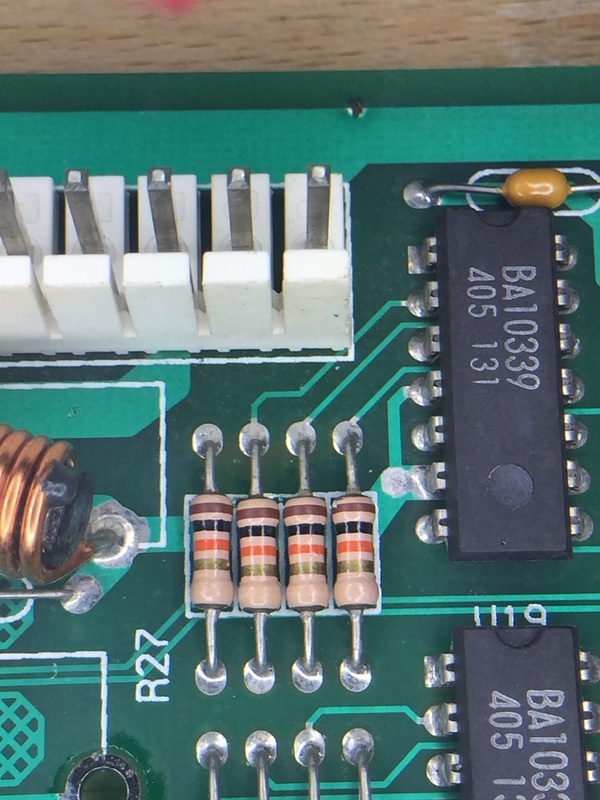 The stuff around the pins might be flux from old repair work perhaps? I might take out U14 but U13 & up I can see trace and board repair so I do not want to mess with it at all. The hazy ness on component side is from the ipa flush FYI. Removed what I think is all the affected parts off the board. Did a second rinse/ soak with a 5% solution of hydrocloric acid. I see some darkening areas concern near the bottom left battery terminal and I will start abrasive treatment next. 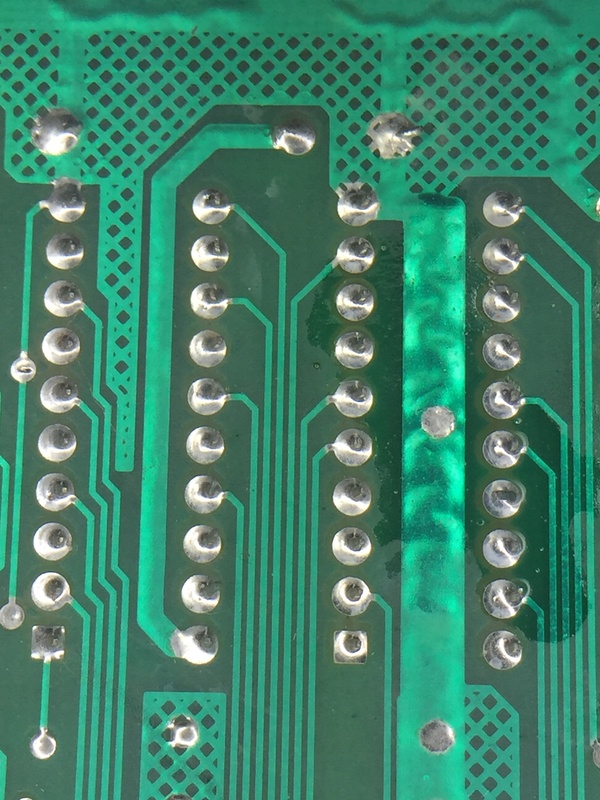 I only see a few traces that have darkening under the solder mask. All the pads should clean up nicely. Used a pointed green cratex bit chucked up in my flex shaft and under magnification brought everything down until it was all shiny. Fixed some vias and had to add solder to remove some stubborn stuff in a few through holes. Looks like it’s accepting solder well. Last thing to do is rinse the board well with ipa and used compressed air to get any little debris out of the through holes. Then I can finally start adding components on again. WOW! 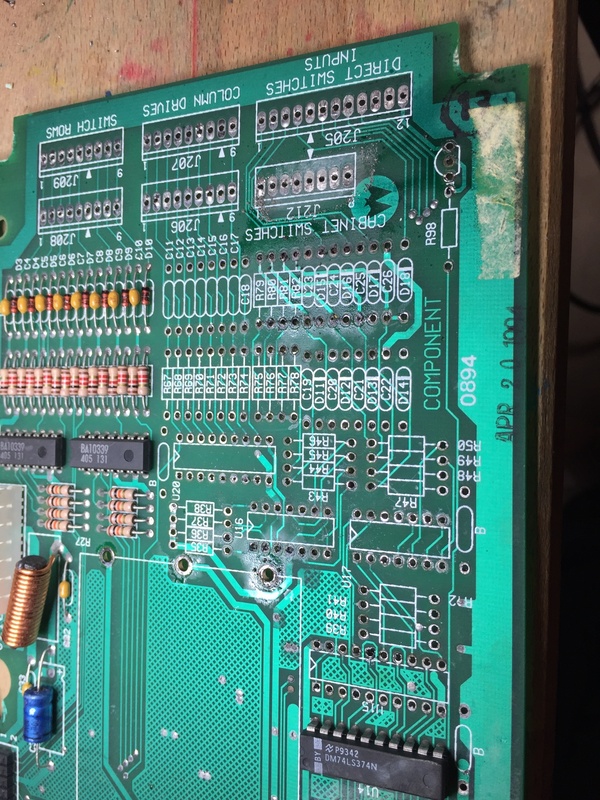 You did a fantastic job on this board; not only does the board look great, I don't see a single broken trace anywhere which can be extremely difficult to pull off on a corroded board. Well this board was in fact 100% working even with the damage so I don’t think it was very severe. At least not ground plane eating kill your board in 60s flat type of corrosion. But I know it just takes time so wanted to get rid of it. Solder is taking well to these pads. And yes, definitely use liquid flux to assist the solder. 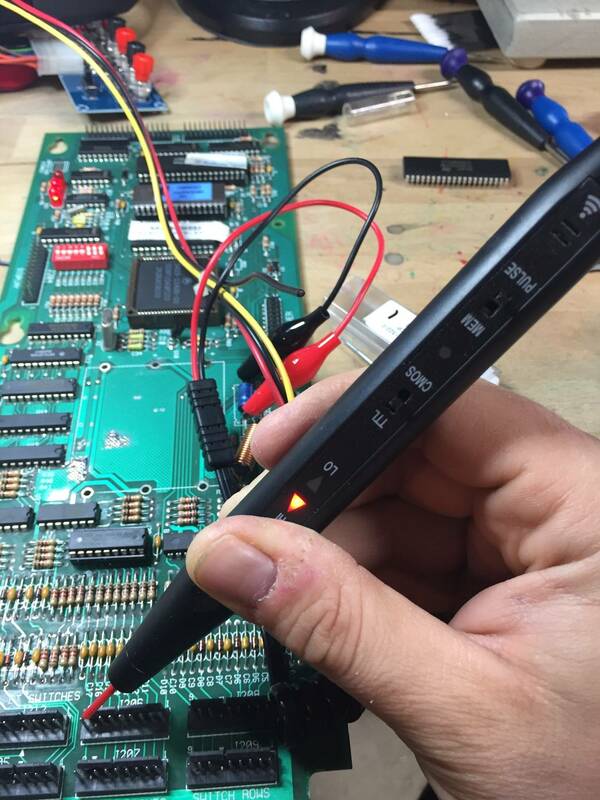 I also used 5 core solder as well and it works great. So after getting a DOA processor and replacing it, board boots! All column drives strobe besides Column 8, it stays high. 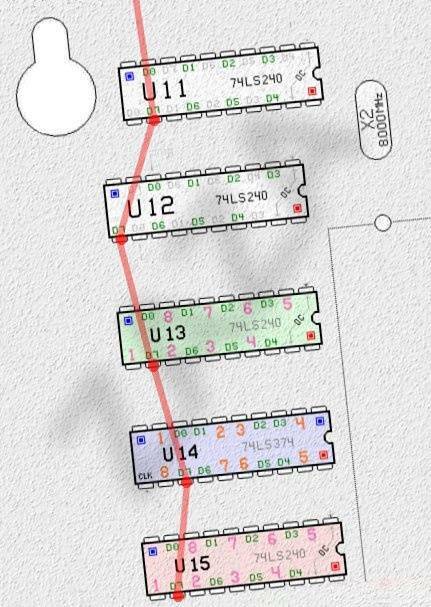 Pin 11 of U20 also stays high. U20 pin 8 is stuck low and so is pin 12 on U14. U14 pin 10 is grounded and pin 20 has 5volts. R74 tester good at 1kohm, good continuity to 5 volts and pin 9,j207. What to check after that? What to check after that? So tested continuity from all D7 pins back to the asic. All checked good and very low resistance. Perhaps it’s because T2 doesn’t use column 8 and that’s the rom I have in? That is very well possible. When menu switch "ENTER" behind the coindoor works, it confirms that D7 signal is just fine. 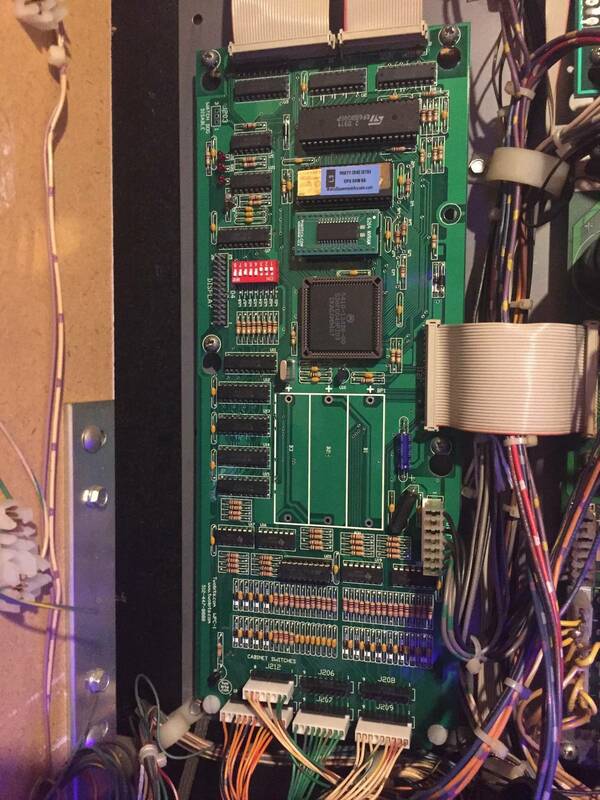 Happy to report that it was the T2 rom that was disabling the 8th switch column, its not needed for the game. swapped out with a PZ rom and it works great. So this was a successful repair!